How To Make the Best Homemade Pumpkin Pie for Your Family! 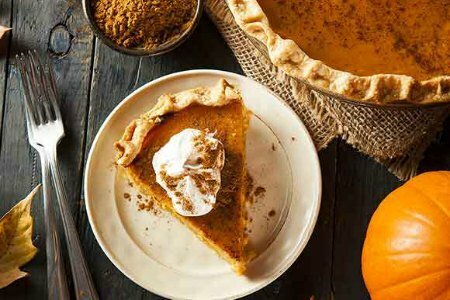 Home » Blog » Food » Fall Favorites » The Best Homemade Pumpkin Pie Recipe! Are you feeding a crowd? Our Pumpkin Slab Pie might just be the answer. 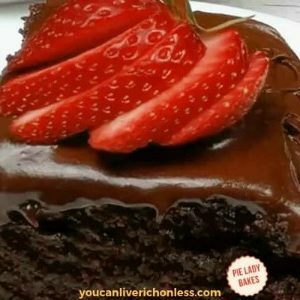 Same amazing recipe, but you bake it on a cookie sheet or jelly roll pan! The best homemade pumpkin pie recipe ever! This is a homemade pumpkin pie from scratch too! And when I say I eat it for Breakfast, Lunch and Dinner, you know I mean it. I’ve been known to savor a slice of pie for breakfast, standing over the sink. You too? It really tastes so much better that way. Family celebrations just wouldn’t be complete without a homemade pumpkin pie. This classic dessert is the star of many family celebrations like Thanksgiving, Christmas and Easter. 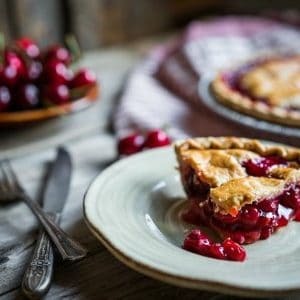 Just the thought of the heady aroma of spice and sweetness that fill our homes at that time makes me really want a slice of that pie RIGHT NOW! Some folks love their pumpkin pie wreathed in whipped cream. Or ice cream. Just the pie for me thanks. Oh and is there enough for seconds? 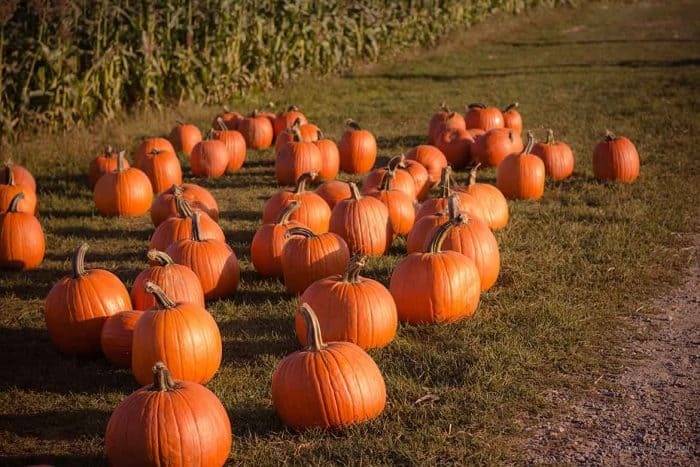 Pumpkin is actually a vegetable and typically synonymous with Autumn, giving thanks and Hallowe’en! Part of the squash family you can cook the meat of the pumpkin down (peeled and diced) and once that is done – puree it in the food processor. That’s how to make homemade pumpkin pie from a real pumpkin. These pumpkins will make scary Jack O Lanterns won’t they? I use canned pumpkin puree and have for years. 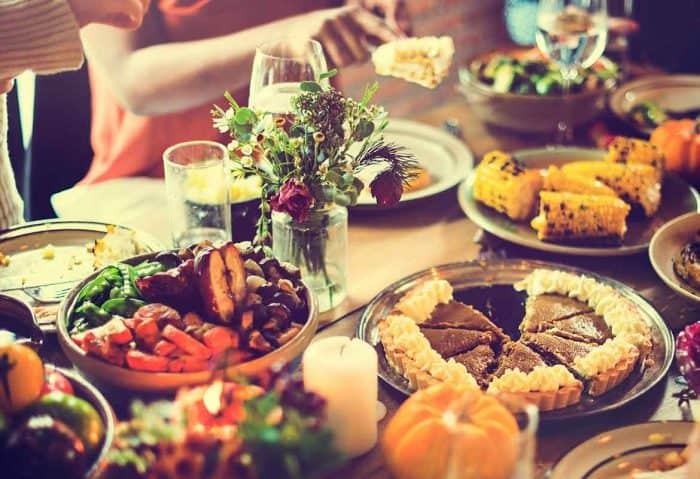 But in today’s busy world, few of us have time for all of that effort, when cooked pumpkin is available all year long at the grocery store – in a can. So while I believe that this is the best homemade pumpkin pie recipe from scratch – it is so much better than the canned pumpkin pie filling they have in the store. The most famous brand of cooked pumpkin is Libby’s and you can find Libby’s pumpkin pie filling just about anywhere. And the company is super famous for it’s Libby’s pumpkin pie recipe on the can! In fact, I think that’s where my Mom’s pumpkin pie recipe originates from. Besides I would much rather spend the time save by going outdoors for a walk with my grandchildren and the dogs, that feverishly cooking over a hot stove. You know what I mean. 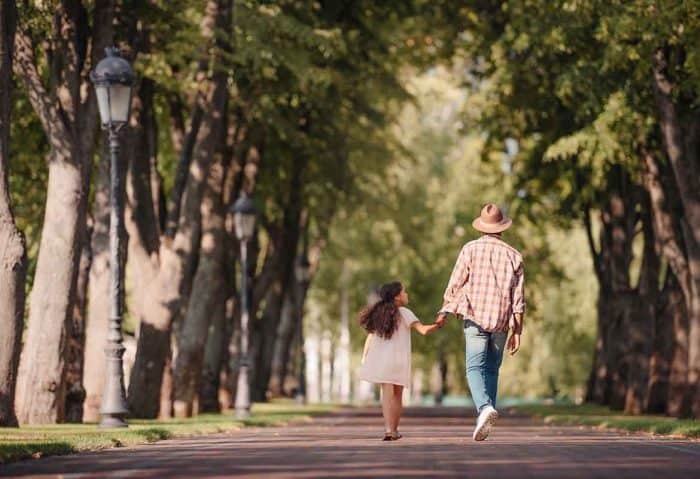 I love taking a walk with my grandchildren after a big family Thanksgiving dinner finished with a big ole slice of pumpkin pie! 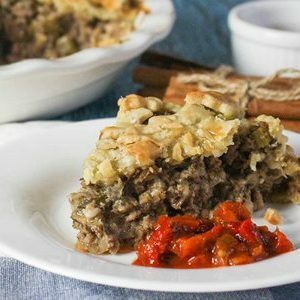 This is also one of those great pie recipes that you can make a couple of days ahead. It will keep up to a week in your refrigerator. I’ve frozen pumpkin pies too and they’ve been fine. You may want to warm them up in the oven – around 300F for 10 to 15 minutes. Right from the oven, can’t you smell those delicious spices? I think pumpkin pie is where my passion for baking and pies actually began. Yes this was another one of those pies baked by Grandma – but I learned to enjoy my Mom’s homemade pumpkin pie even more. Grandma’s tended to be a dark version that you often see and very spicy. Mom’s homemade pumpkin pie recipe was lighter in color, with a lovely blend of spice and sweetness. Hands down it was the best. So much so that when I went away to college – a full pumpkin pie would travel back to school with me. I was really popular after a long weekend at home! Fast forward a few years and pie became a staple in our family catering business menu. The bulk of our business was banquet catering – for weddings, sports and business events. Mom’s homemade pumpkin pie recipe was always asked for so we usually planned on making enough so that most could have seconds. You really can’t eat just one piece of pumpkin pie! 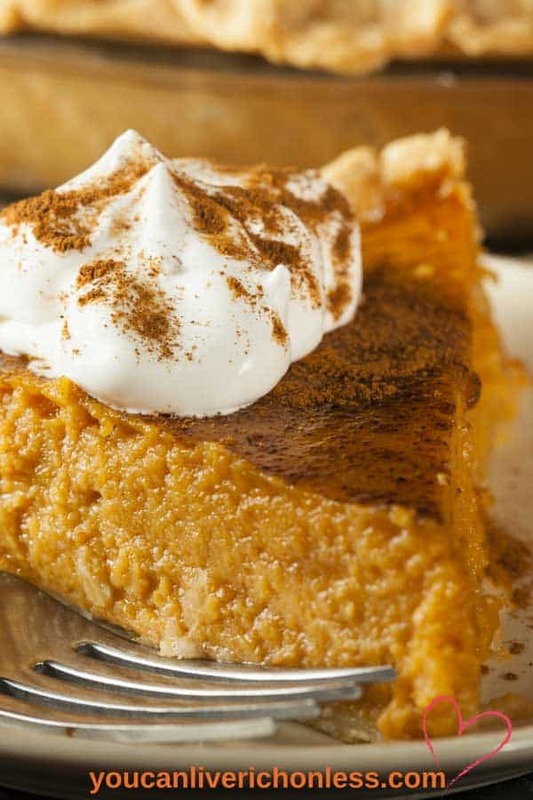 Pumpkin Pie is often the star of a traditional Thanksgiving Dinner. Next to the turkey of course. When combining the pumpkin, eggs, sugar, milk, flour and spices, make sure you mix all ingredients really well – using either a hand mixer or a large food processor with a really deep bowl. 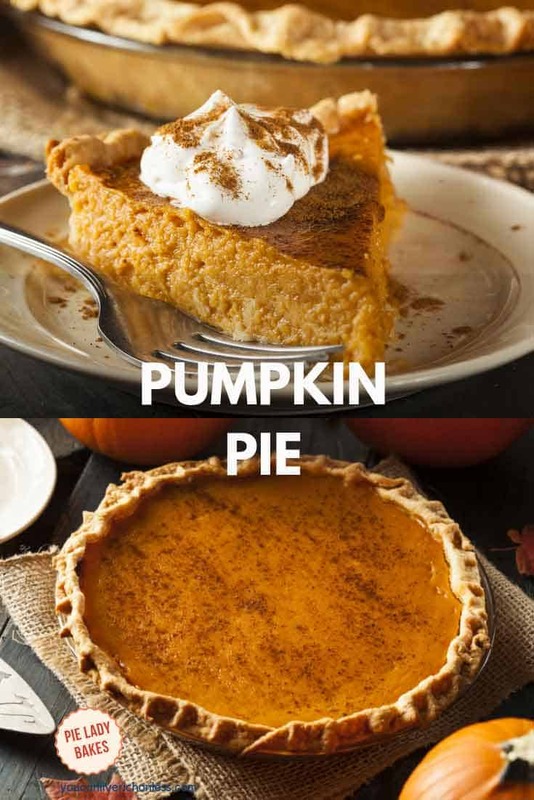 I’ve always used 2% milk (and suggested sour cream) however there are lots of homemade pumpkin pie recipes that used either condensed milk or heavy whipping cream. Our Kahlua Pumpkin Pie recipe uses condensed milk and it is so yummy! Since I’ve probably baked a few hundred pumpkin pies during my forty years as a baker I do have a couple of important tips! 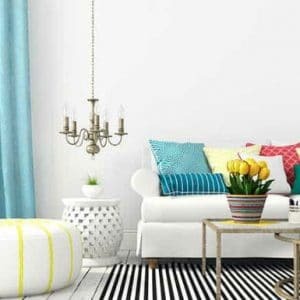 This liquid is very light and will spray everywhere so I use a really deep mixing bowl and even cover my kitchen counter with a towel. Want to use your own homemade pumpkin pie spice? 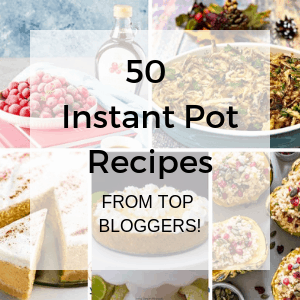 You can get that recipe right here! When filling the pie crust shell, only fill about three quarters full – the filling will expand as it cooks. There is no need to Blind Bake (pre-bake) the pie shell. This recipe temperature and time is perfect. 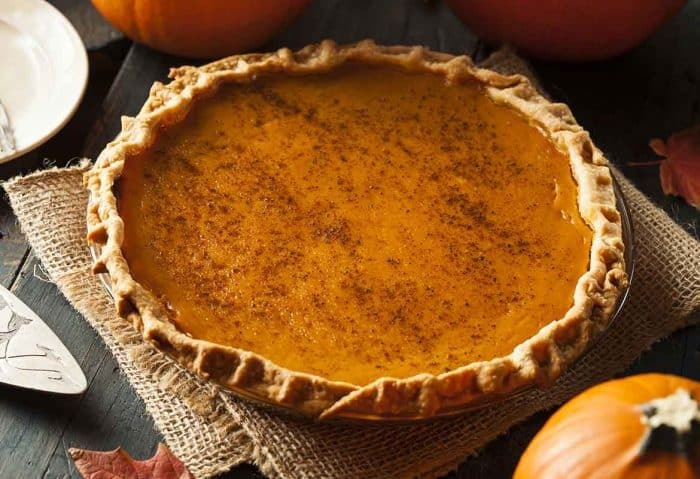 Let your homemade pumpkin pie cool in the oven to prevent the top from cracking. Remember how I said that the pumpkin pie filling tended to fly everywhere when you were blending? 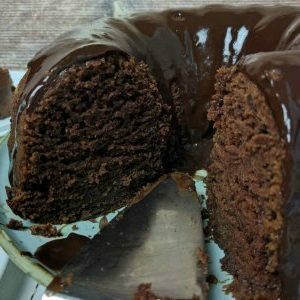 Well I figured out that an Immersion Blender is just the ticket for solving that problem! This is the one I use, it’s versatile and a good price too! 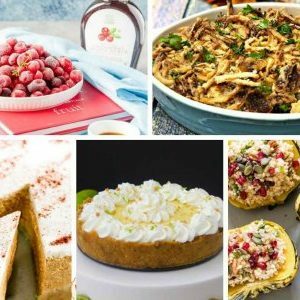 There are lots of wonderful pumpkin recipes by equally wonderful bloggers. I love this Pumpkin Cheesecake from Natasha’s Kitchen. 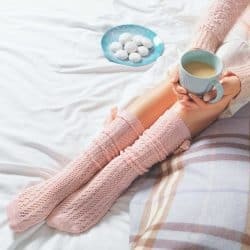 Natasha has a wonderful blog so be sure to check it out! This is a Perfect Pumpkin Pie. Rich and creamy, light in color, and not too heavily spiced. The sweetness combined with my buttery, flaky pie crust just can’t be beat. When you take a bite of this pumpkin pie, your mouth will do a happy dance. I promise! And for all those pumpkin pie lovers in your family, they will join you in that happy dance. Pumpkin Pie is so Thanksgiving, but we always had it at Christmas too! But like I always say, Pumpkin Pie is perfect anytime. If you love the recipe as much as I do, please give it a 5 star rating in the recipe card below. Hands down the easiest and most delicious pumpkin pie recipe I have ever made. 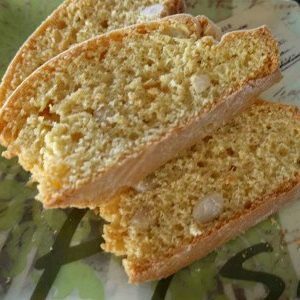 Lightly spiced, using milk and eggs, it is rich and creamy and you will be more than happy with the result! 2 cups milk or use 2 cups sour cream! 2 tbsp flour heaping, or gluten free flour! Mix all ingredients really well – using either a hand mixer or food processor. Tip: This liquid is very light and will spray everywhere so I use a really deep mixing bowl and even cover my kitchen counter with a towel. 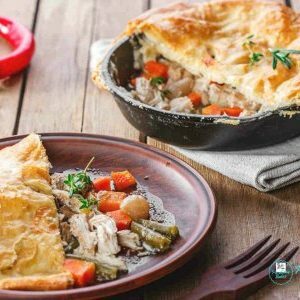 Fill pastry recipe pie shell ¾ full, the filling will expand as it cooks. Pie is finished when a knife comes out clean in the centre – it may crack a little around the edges. Prep time does not include making the piecrust - just rolling it out and filling. You could add another 30 minutes for that. Serve warm with real whipped cream! 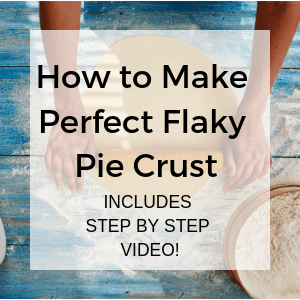 The Secret To Perfect Flaky Pie Crust. 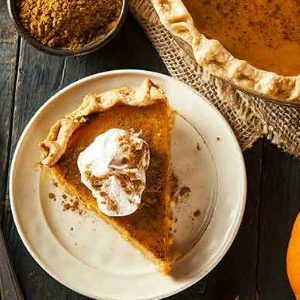 Kahlua Pumpkin Pie Recipe | A Classic Goes Mayan! Do you think I could use plain yogurt as the sour cream option? Love this version without sweetened condensed milk! Hi, I would give that a try. Yogurt does have a bit more water in it though so use a bit less. For 1 cup of sour cream use 3/4 cup of yogurt. Let me know how it works out for you! This looks yummy! I am usually lazy and buy a pumpkin pie for Thanksgiving. This year though I might have to try your recipe and make my own. Thanks for sharing! 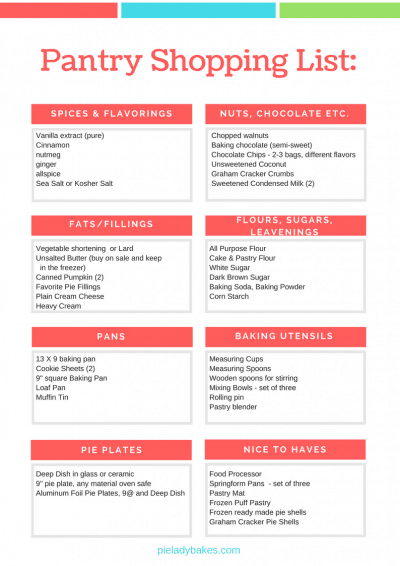 Jen V. recently posted…Raw Spice Bar Subscription Review ~ Go on a Culinary World Adventure! As a Mexican I have *never* made pumpkin *anything. * This Thanksgiving I’ll be celebrating it in the US with my family and I should really start a tradition of my own with your pumpkin pie. I think everyone will be surprised! Pinning! That’s wonderful Natalia – it’s a very easy recipe and I know you and your family will enjoy it. Thanks for stopping by and pinning! What a delicious and beautiful pie. Can’t wait to try it. Pinning to my pumpkin everything board! This looks so classic and amazing! I can smell the aroma now! This looks delish! 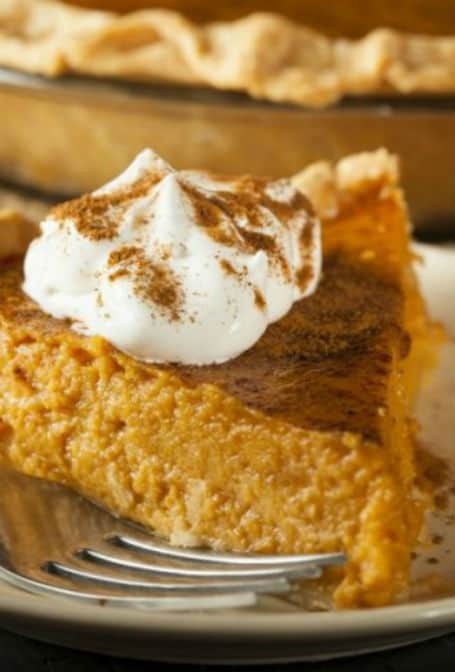 My daughter LOVES pumpkin pie – she and I will have to give this recipe a try! 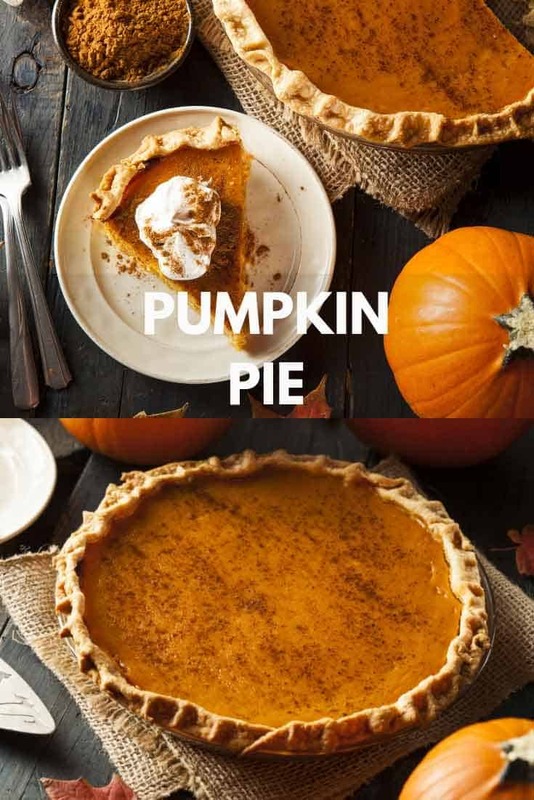 I love pumpkin pie, can’t wait to try your family recipe! Thanks Claudia! Three generations and counting. I really enjoy summer and time outdoors,but must admit fall is my favourite time of year. Thanks Ben! I LOVE pumpkin everything! This pie looks delish! Thanks Sarah – I think it’s the best. This looks amazing!! I still haven’t got round to making a proper pumpkin pie, but this is making me crave it! Thanks Annie! The recipe is very easy. I love pumpkin pie – this looks so yum. Looks amazing, I remember those college days. Homemade food was such a treat! Your photos are gorgeous! Oh thanks so much Michelle! Perfect fall dessert! I can’t wait to try your vesrsion! This looks so yummy!! I can’t wait to try it! Thank you so much – I hope you enjoy it!